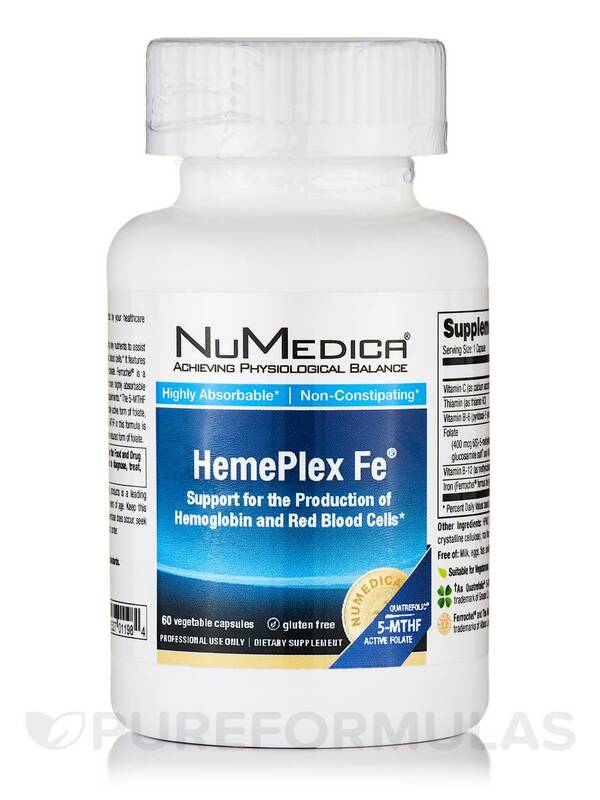 HemePlex Fe by NuMedica improved my red blood cell count and provided all the benefits of an iron product. 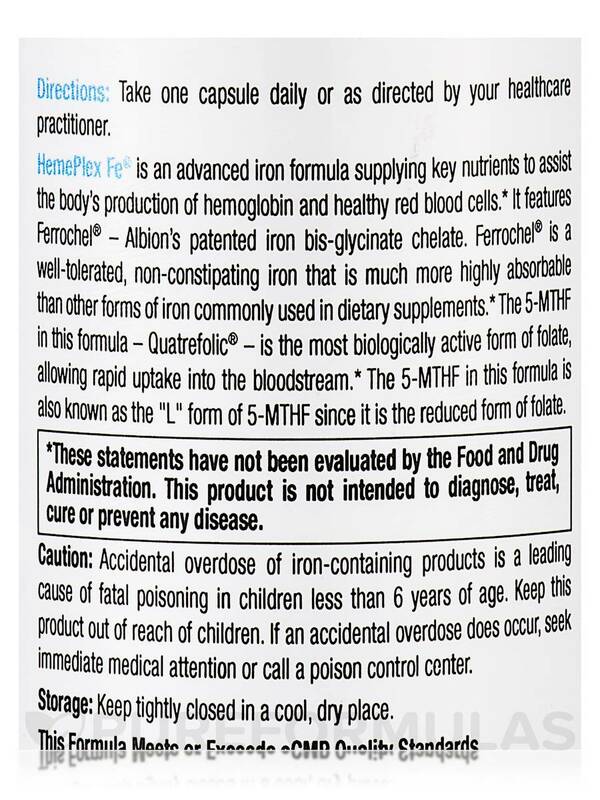 HemePlex Fe™ is an advanced iron formula supplying key nutrients to assist the body’s production of hemoglobin and healthy red blood cells. It features Ferrochel®‚ Albion’s patented iron bis-glycinate chelate. 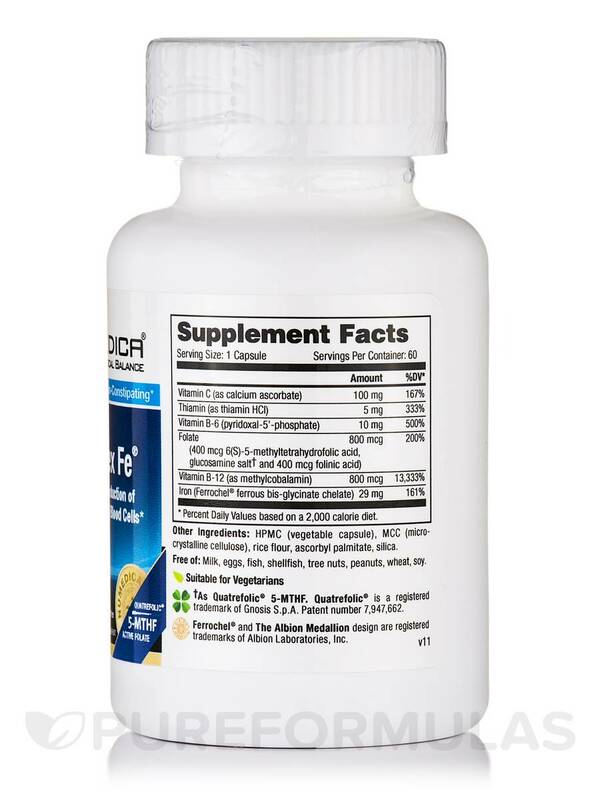 Ferrochel® is a well tolerated‚ non-constipating iron that is much more highly absorbable than other forms of iron commonly used in dietary supplements. HPMC (vegetable capsule)‚ MCC (microcrystalline cellulose) and rice flour. 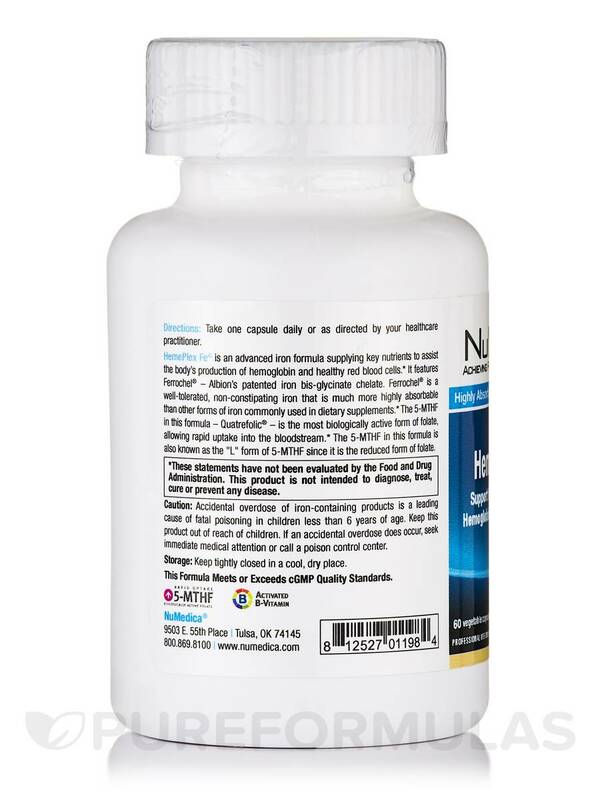 My iron count increased from around 20 to around 60 after 6 weeks of taking HemePlex Fe by NuMedica. 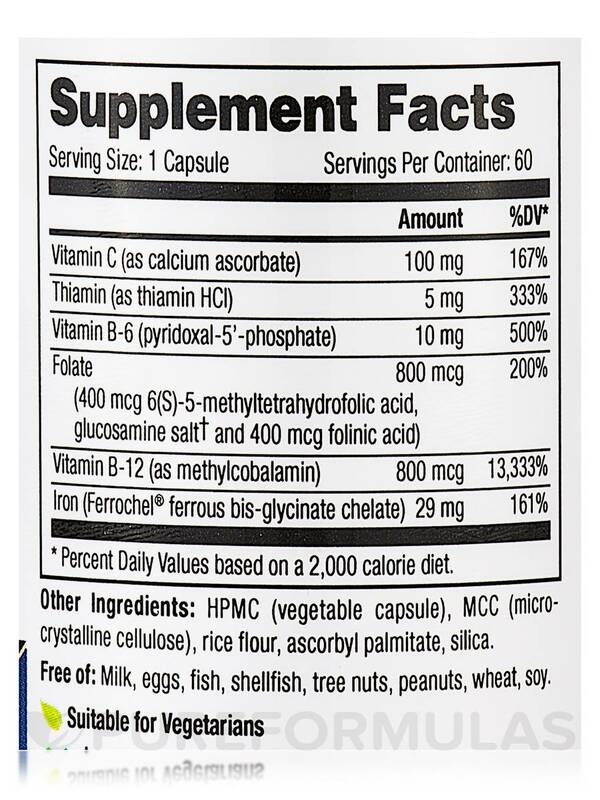 Easy to take and effective iron product.